This is a great guide – I’ve been looking for a way to do this for at least a year on and off. Thanks for writing it up! I found two additional settings that may be obvious to most, but that took me forever to track down, and both seem necessary for the configuration to work. Figured I’d share in case anyone else has the same problems I did. 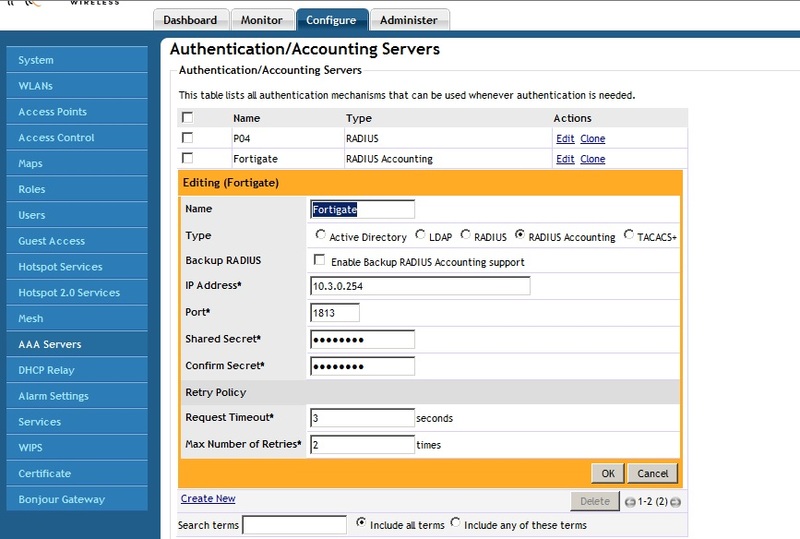 1) On the ZoneDirector, you have to enable accounting on a per-WLAN basis. 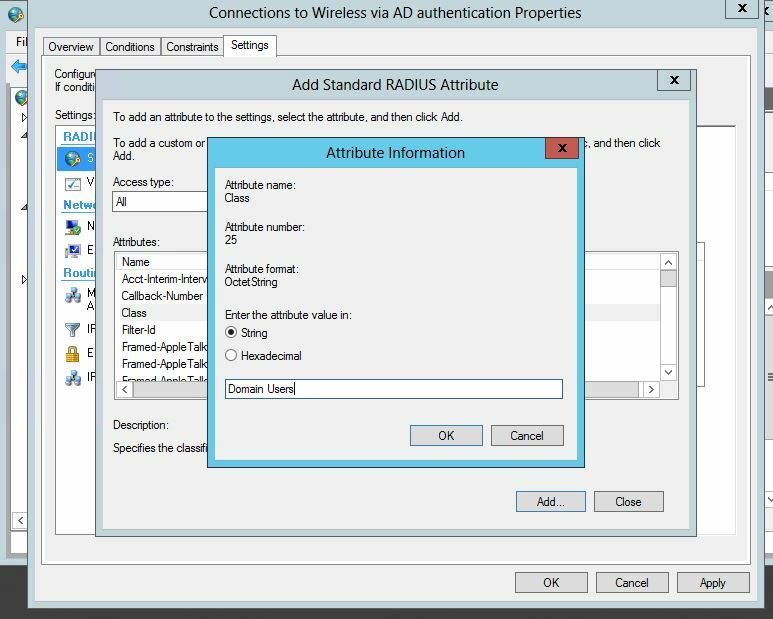 It’s under WLAN configuration > advanced > accounting. 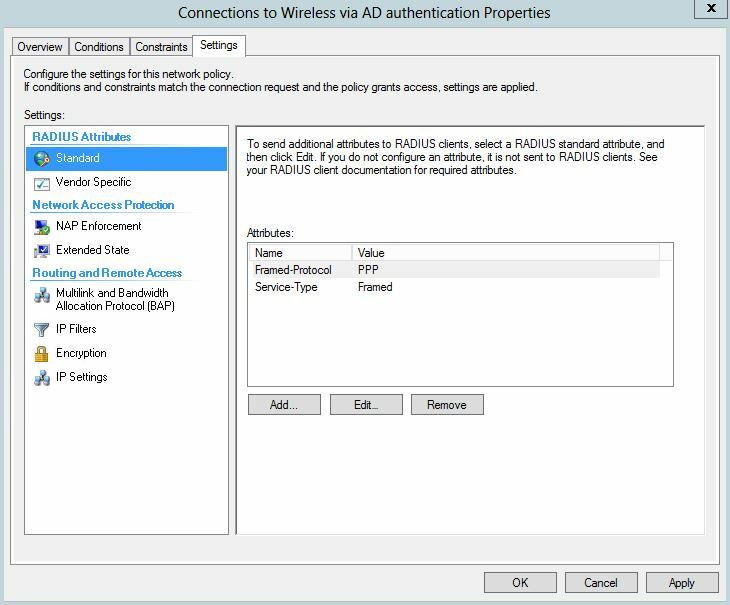 2) On the Fortigate, you have to enable listening for RADIUS accounting messages on the interface where the ZoneDirector is located. 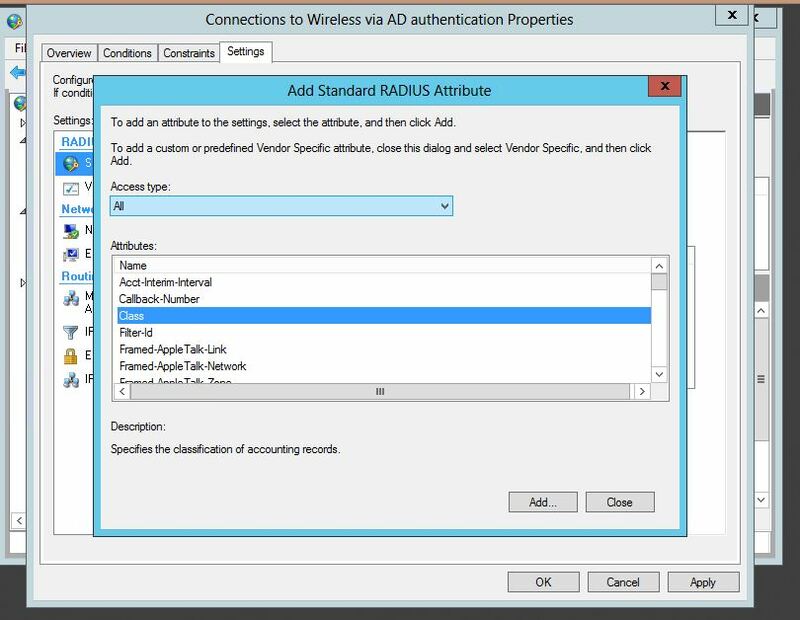 It’s under System > Network > Interfaces > (interface) > Listen for RADIUS Accounting Messages. Hey Brian, thanks for the comment and the extra settings. Might modify the entry just to have that info in there. Thanks! Hello, I am wondering why you did not just use FSSO via agents installed on your Active Directory DCs i.e. the standard way of doing this. 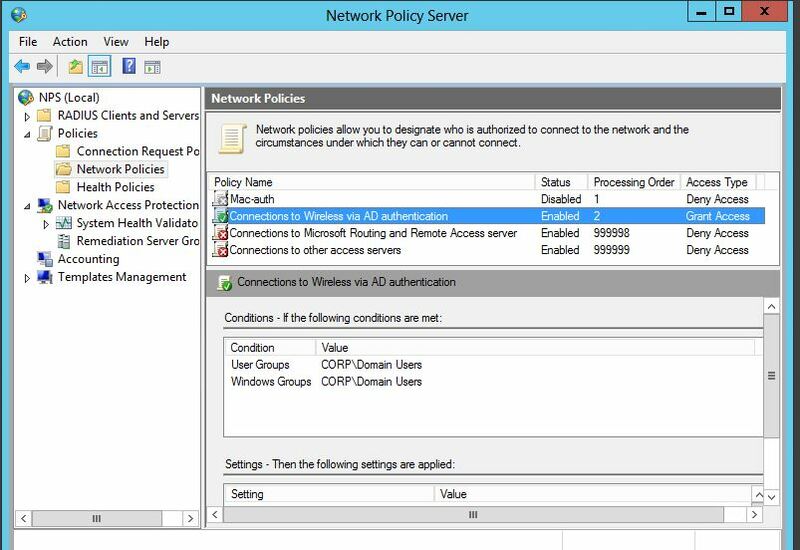 Windows NPS would be creating logon events on the DCs, then the DCs send that information to your Fortigate FSSO framework. Not sure that would work. Worth a test in the lab though. 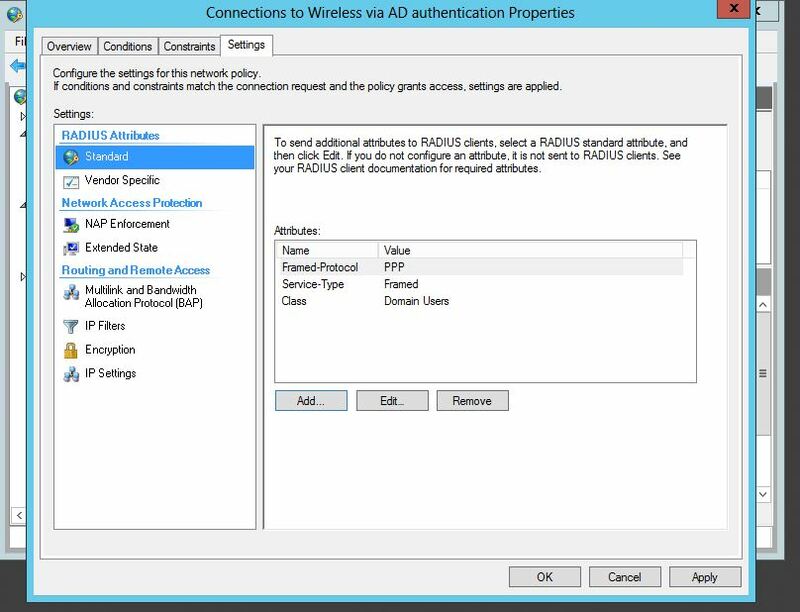 RSSO is the way to do it in when your clients (Ipads/Andriod) are not AD joined but the users have ad accounts. Using the RSSO groups allows you to match lots of different AD attributes and send them to the FGT to match. For example here, I matched on user name.